"He's been really helping me shape my music and my musicality with technique work and working on pieces that I really enjoy. The thing I like about Kevin is he doesn't make you feel bad about your mistakes; he's really there to help you. He supports you and we laugh together when I make a bad move and he really helps me figure out what the pieces mean to him and what they could mean to me in a way that focuses on the music." 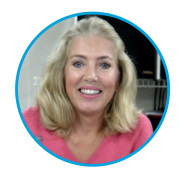 "When I began taking piano lessons with Kevin, I had some piano experience. However, it had been years since I studied and needed to brush up on my skills before pursuing a graduate degree in music therapy. My new degree path requires six semesters of piano courses. Kevin and I set some objectives for the mere 6 months of time we had as teacher and student, with the final goal being my placement into the 2nd piano class. 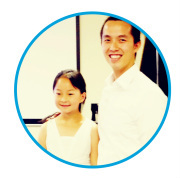 Kevin is an extremely talented musician and pianist with very effective teaching methods. Based on my musical background and experience, he was able to adjust our lessons to the level of instruction that was necessary to meet our goals. We not only worked on technique, but also theory, musicality, effective practicing, and building repertoire. Thanks to Kevin’s positive and encouraging teaching style, lessons were always enjoyable. Upon entrance into the university, I placed into the 5th piano class (which far surpassed our original goal), and have been growing as a pianist ever since!! 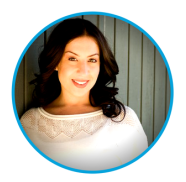 I owe my continued success to Kevin and FreshStart Piano Studio, and give my highest recommendation to any level piano student that seeks instruction." 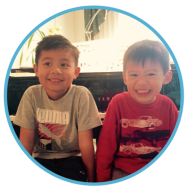 "After interviewing with other piano teachers we decided to enroll in Kevin's studio because of his expertise and experience in how to teach piano. We really like the way he teaches. He is very thorough when introducing new songs, making practice at home a lot less work and frustrating for my daughter and me. My daughter especially likes when Kevin makes up accompaniment parts to play along with her songs." 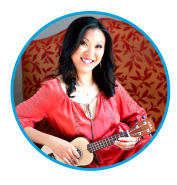 "Ms. Tsai not only taught me piano skills but also how to be patient and stay dedicated. Piano was not very easy for me to learn and I took a very long time to learn my pieces, but with Ms. Tsai's guidance I was able to learn them in the end." "Kevin is a knowledgeable, energetic and fun teacher who imparts good techniques and at the same time instills a lifelong appreciation of music. He is extremely professional and responsive yet warm in his communication style. I would certainly recommend him to any one who has always wanted to learn piano but never got around to it like myself. Better late than never. I am looking forward to and enjoying every lesson as my journey in this musical adventure embarks." "Kevin is truly the key to success. After studying under him for a few years now, he has shaped and molded me into a great piano player. He holds his students to a very high standard that does nothing short of setting them up for success in the piano world." 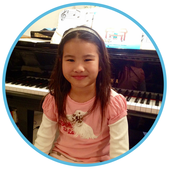 "My 6-years-old daughter takes private piano lessons with Ms. Tsai and group class with Ms. Clare. Their music material is systematic and they are experienced in teaching young kids. Annabelle progresses steadily and gains confidence from the encouragement Ms. Clare and Ms. Tsai. I feel Annabelle gets lots of individual attention from them, which she might not have in YAMAHA or other franchise commercial music school." "My 8 yr old son has developed a passion for learning how to play the piano, read & even create music after taking classes at FreshStart. 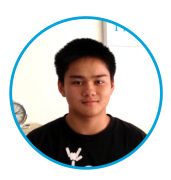 His instructor, Kevin is assertive as well as upbeat providing a positive and nurturing environment. His distinct technique keeps my son focused while enjoying every class. I highly recommend this Studio!" "Kevin is a wonderful and talented instructor. He is very patient and caring to his students. He specializes in piano and tailors lessons to fit the students needs, which I personally found it amazing!!! You will not regret to take his lessons. I guarantee you =)"
"Pierce and I are so very grateful for Kevin. He is the piano teacher and role model I wished I'd found as a young girl and I am so very thankful I was led to him for our son. Pierce looks so forward to his visit with him each week. I watch him as he enthusiastically engages in each lesson and I just love Kevin’s energy, his spirit, his kindness, his patience and his method. 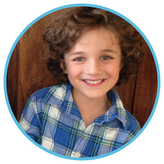 Kevin is amazing with children and he creates an environment that is friendly and inspiring." "I am impressed by Kevin's unique way of teaching kid's piano. His teaching method is thorough and instructive, which helps build a solid foundation for kids to develop their interests and skills in playing piano." "Kevin is awesome. He has a great attitude and has been very patient in teaching me the piano. Kevin has the ability to make one feel comfortable in their ability and is always challenging me to be better. I like that he is a professional and understands the steps it takes in becoming a good piano player. I would highly recommend Kevin. He is a real gem."